Howlite represents CALM, and preparation to receive - whether it's some great insight, a bit of wisdom, or a manifestation of prosperity, Howlite is about handling things in a calm, quiet manner. Blue is the color of honor and truth. 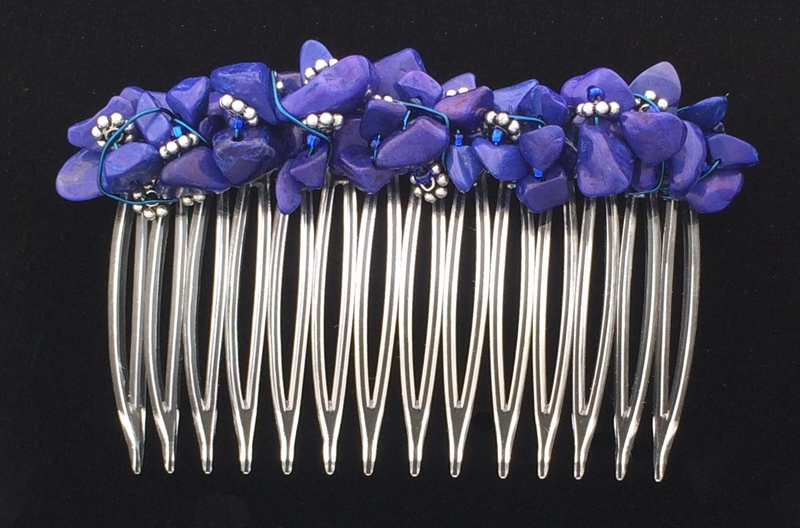 Perfect for wearing everyday yet elegant enough for more formal occasions, this beautiful hair comb features a free-form wrapping of Howlite nuggets in a stunning Lapiz-Blue with little silver "daisy" accents on a plastic hair comb. 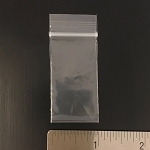 This one measures 70mm (2 3/4 in.). This listing is for ONE (1) comb. If you prefer yours in pairs, please order TWO (2) of them. 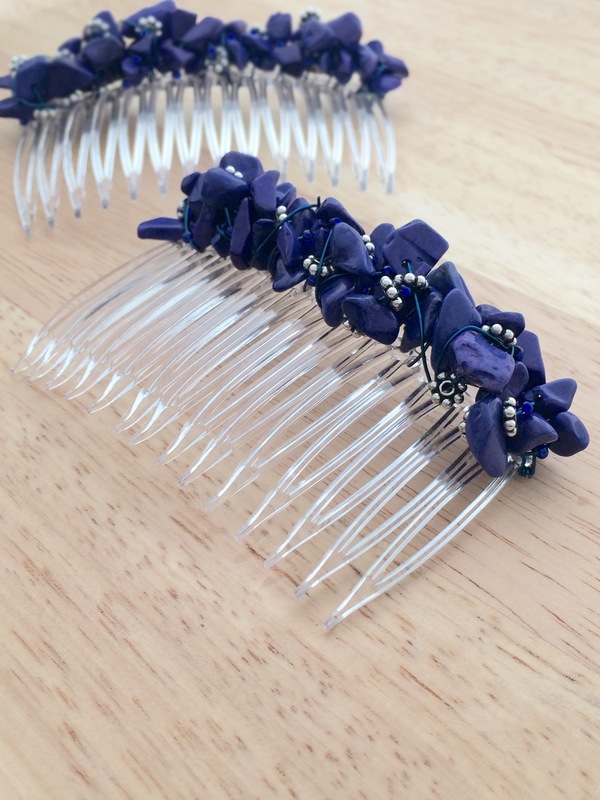 We offer beautiful hair combs featuring free-form wrapping of semiprecious gemstone, crystal, and/or glass beads on plastic hair combs. 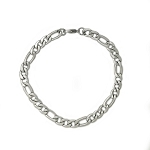 Available in a wide range of colors, bead and gemstone types and styles, in 40mm (1 5/8 in.) “Mini,” 70mm (2 3/4 in.) “Regular,” and 82mm (3 1/4 in.) “Large.” The combs we use for this construction, Grip-Tuth® side hair combs, are specially designed to hold hair quite securely. 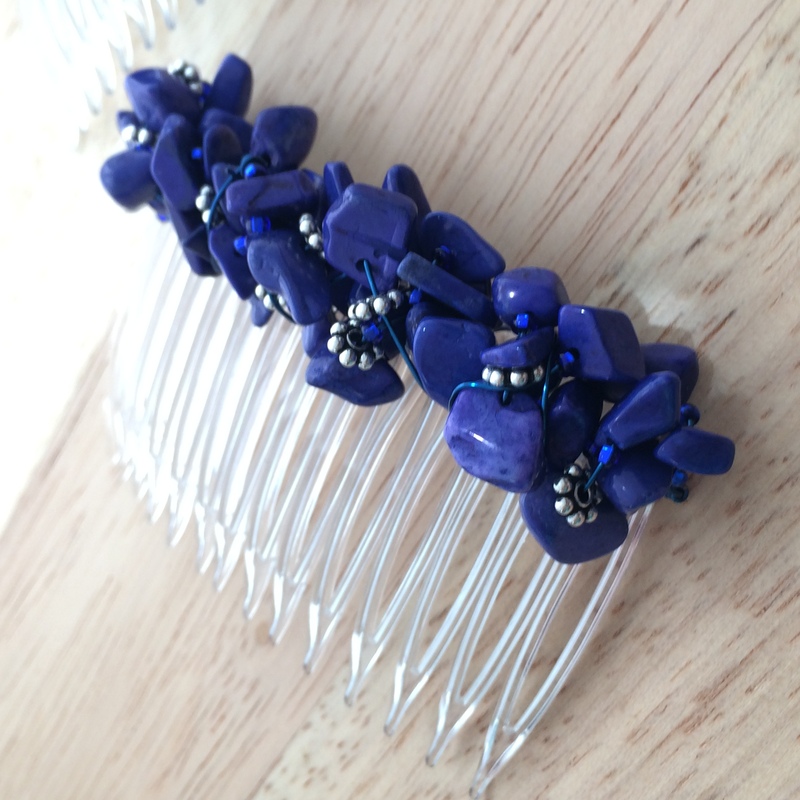 They are perfect for longer or heavier hair, and are made in the U.S.A. Given the naturally occurring variations in natural materials and the free-form design of their construction, any two or our artisan-wrapped combs may be similar, but each is truly one-of-a-kind, just like you! Lovingly handcrafted in the USA. 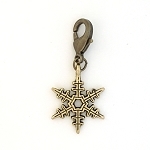 This item ships via USPS first class mail with delivery confirmation tracking number. A lovely gift for birthday, prom, mom, daughter, wedding, bridesmaid, and more, this artisan crafted item comes to you nicely packaged suitable for gifting. Thank you for looking - please be sure to let me know if you have any questions.